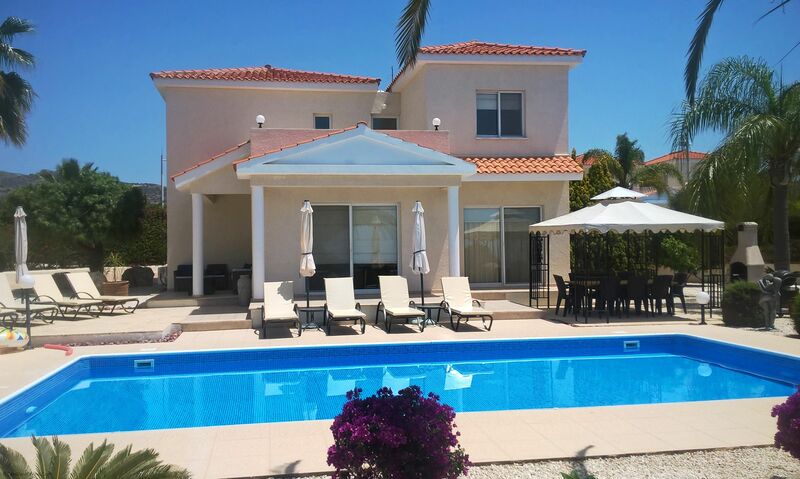 Privately set within a large corner plot in an affluent area of Peyia, this impressive 4 bedroom detached Cyprus Holiday Villa has been designed, furnished and landscaped to the highest standards and offers a real taste of traditional Cypriot village life. 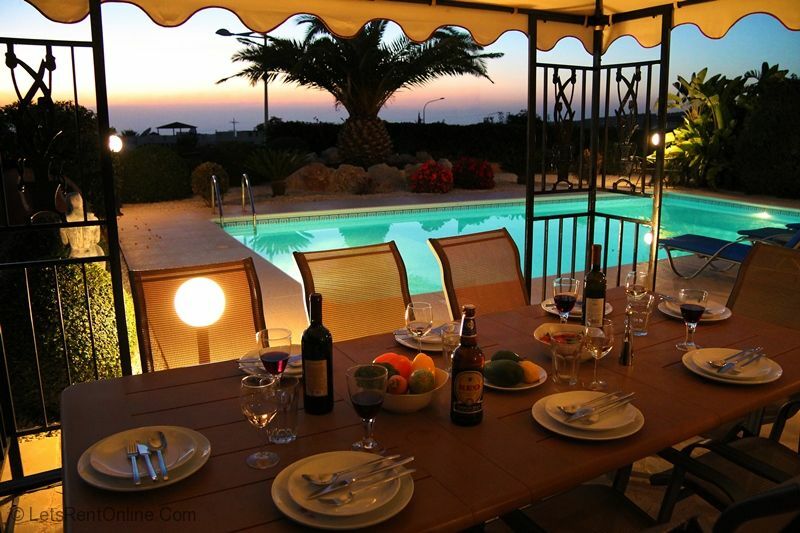 Villa Foster is located in an elevated position within a district of vineyards and moorlands with both Coral Bay and Peyia village centre just a stones throw away. The villa enjoys all modern comforts as well as beneficial extras such as 10m x 5m Private swimming pool, Gazebo with large dining table (to seat 8), stone built BBQ, large leather sofas, Satellite TV, Wi-Fi, 4 double sized bedrooms, 2 en-suites, a family shower room, cloakroom, dishwasher and much more. 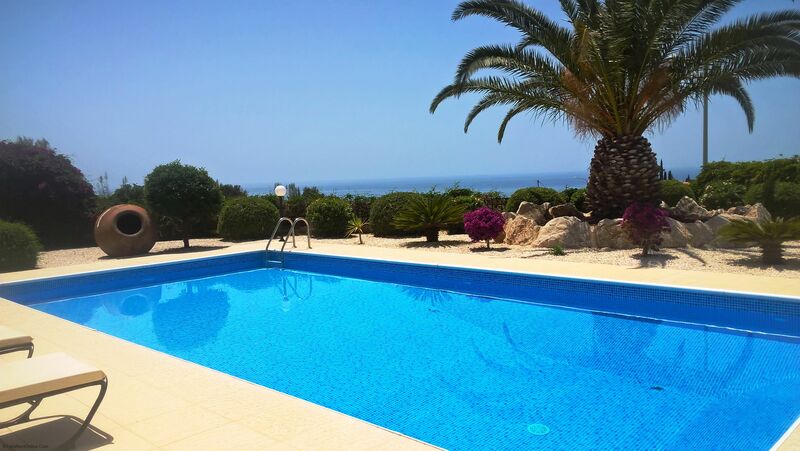 All this added to the Cyprus sunshine, the views across the vines to the Med and the outdoor seating/lounging areas and you are in for a great holiday at Villa Foster. On entering the villa itself, you immediately sense the modern clean lines and smart design features. The lounge has an LCD TV with Satellite, DVD and an Ipod Docking station with speakers. This is accompanied by 3 large chocolate leather sofas to comfortably seat 8 people. The dining table has high backed leather cushioned chairs with large wooden table again seating 8 comfortably. 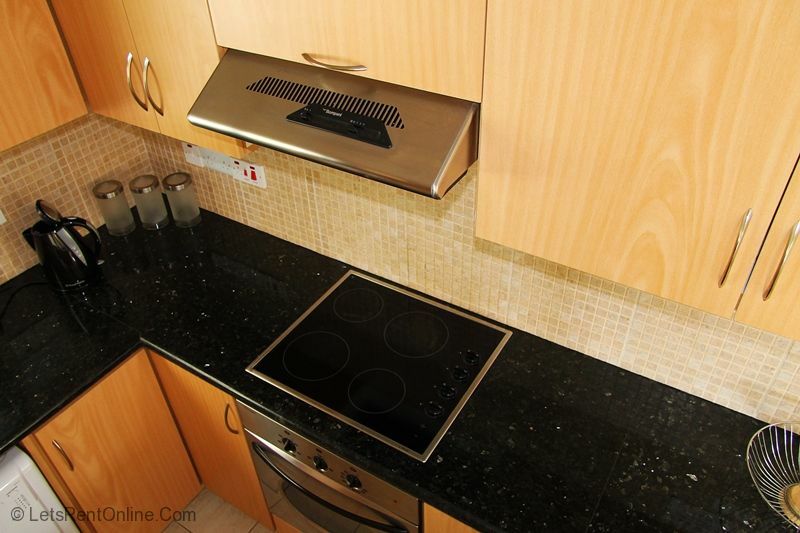 The kitchen is well equipped with fitted units in beach, black granite work surfaces and mosaic tiled splashbacks. Major appliances (in stainless steel colour) include tall fridge/freezer, dishwasher, washing machine, oven hob and hood and microwave. 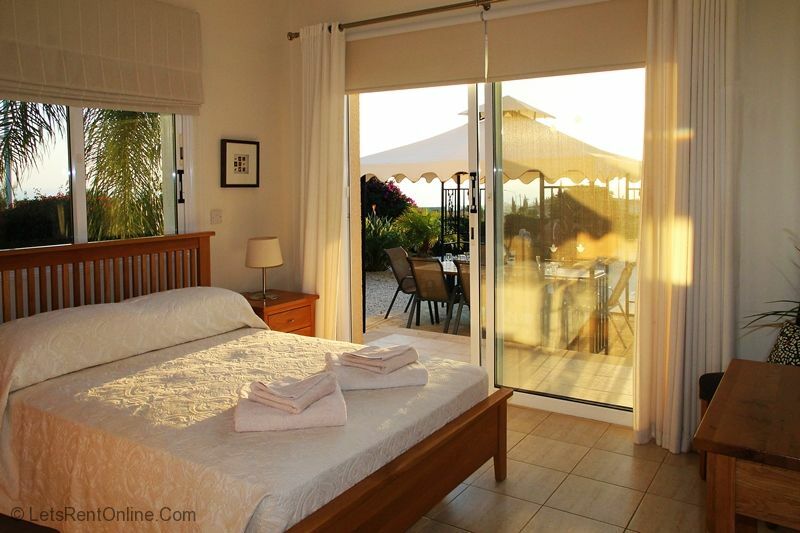 Access from the lounge can be gained to the outside areas of the villa as well as a convenient downstairs double bedroom with its own En-Suite shower room. 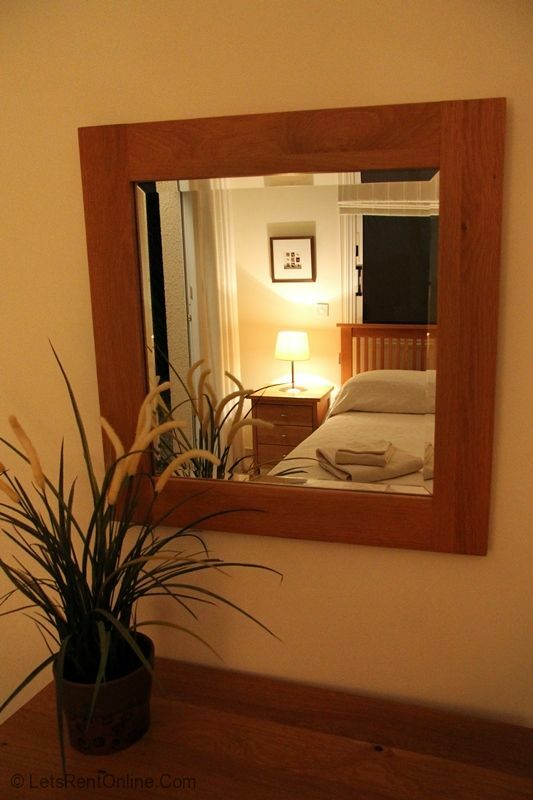 (This bedroom could be very useful for the elderly or infirm with access to the garden and pool directly from same). 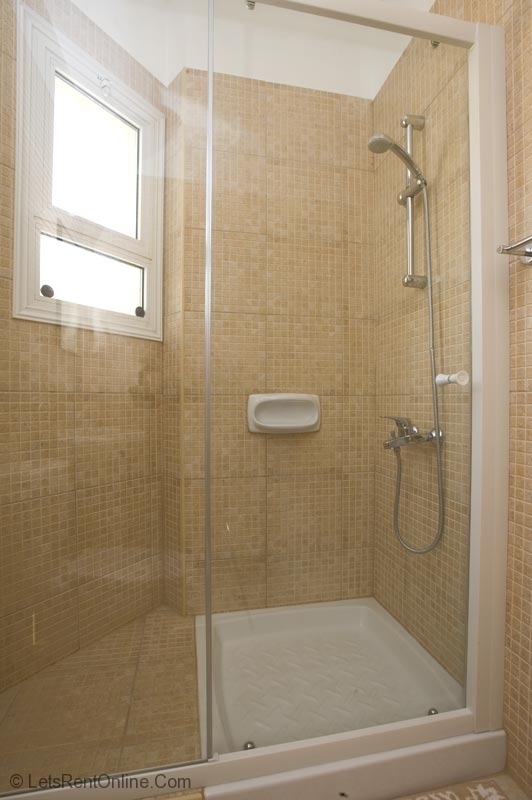 A fully tiled cloakroom completes the internal areas of the ground floor. Access to the upstairs accommodation is gained by a wide and open turreted staircase and landing. The master bedroom features a double-sized bed, fitted wardrobes, and an en-suite shower room which has a large double cubicle. 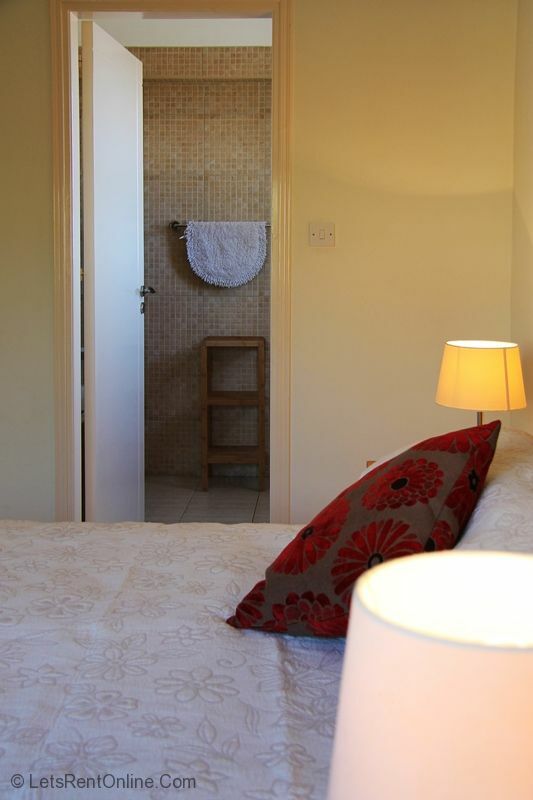 The second and third bedrooms are twin rooms with fitted wardrobes, and share a sizeable shower room with double-sized cubicle, wc and wash hand basin. Sea views can be enjoyed from most windows in the upstairs and access can be gained to the upstairs balcony which in itself is a prime area of the house. 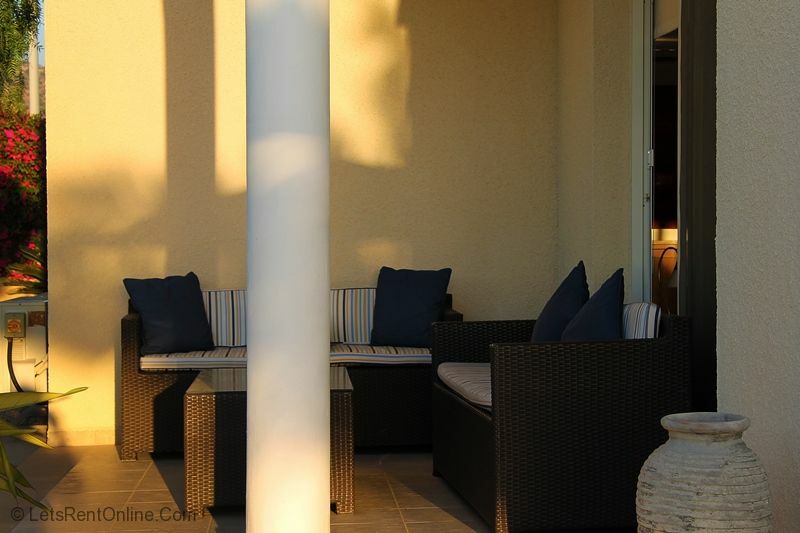 Comfortable outdoor sofas allow relaxation and enjoyment of a refreshment and the stunning views to both the Mediterranean Sea and surrounding mountains. Sunsets can be seen at most times of year. 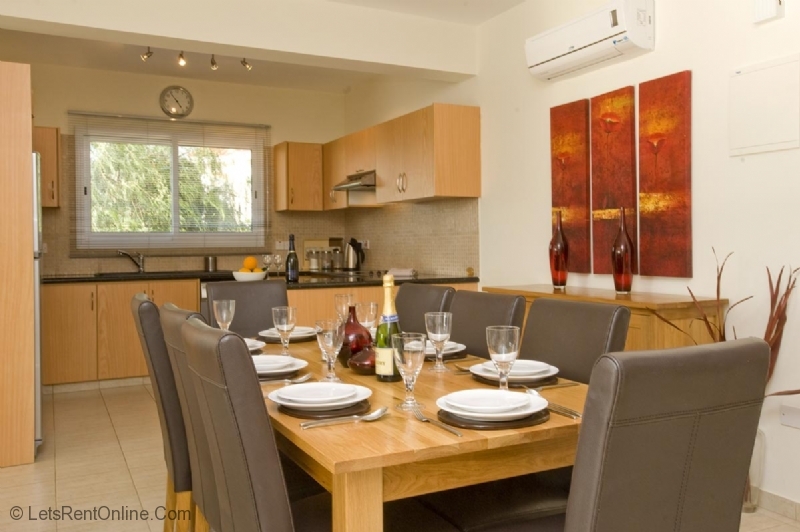 The villa is fully air-conditioned with ceiling fans assisting with good circulation, has fly screens fitted throughout andhas a supply of fresh drinking water to the kitchen. 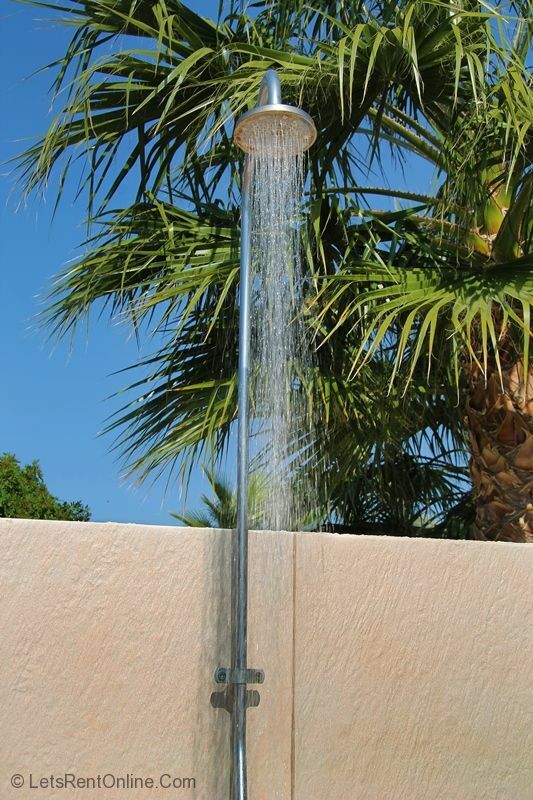 Towels are supplied for inside as well as by the pool. There is an electronic safety deposit box and the water is heated by solar panels on the roof with back up immersion when required. A Travel Cot and Highchair can be provided free of charge upon request. 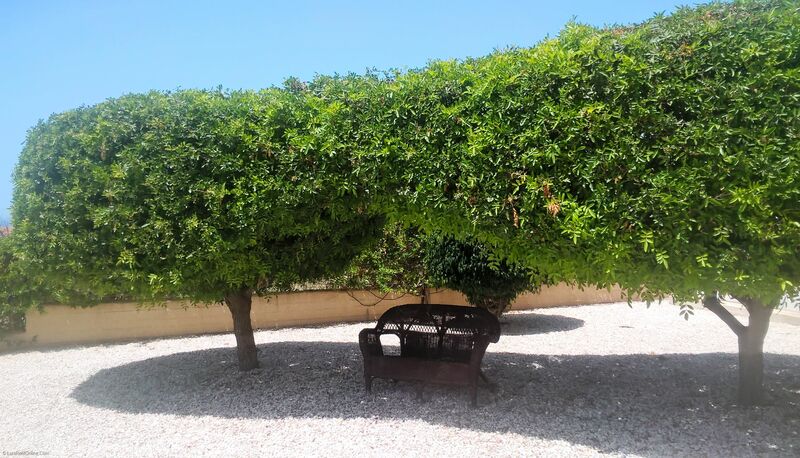 Outside, the villa has an extremely generous and beautifully landscaped garden featuring a 10m x 5m private pool with ample room for sunloungers (8 supplied). A gazebo with adjacent stone built BBQ (there is also a Gas BBQ) and large table and chairs provides the ideal place for relaxing in the shade, taking in the views, alfresco dining and socialising with your party. 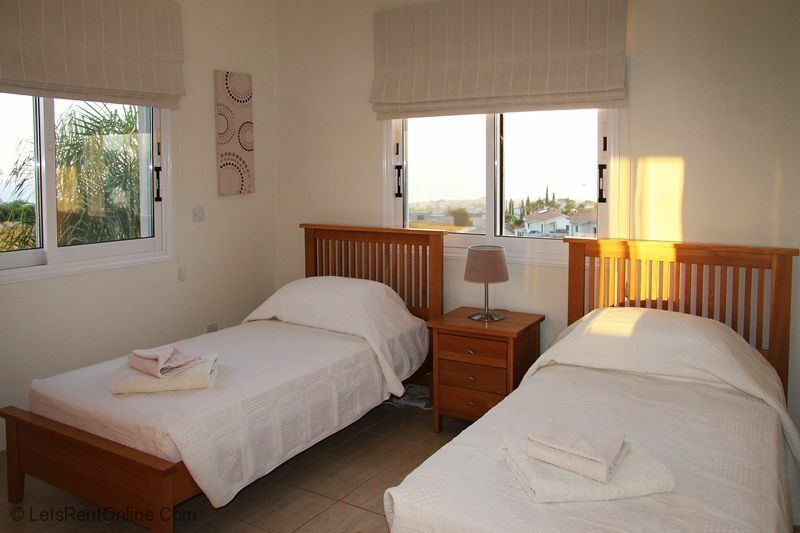 Views across the vinefields and out to Sea beyond Coral Bay adds to the atmosphere. 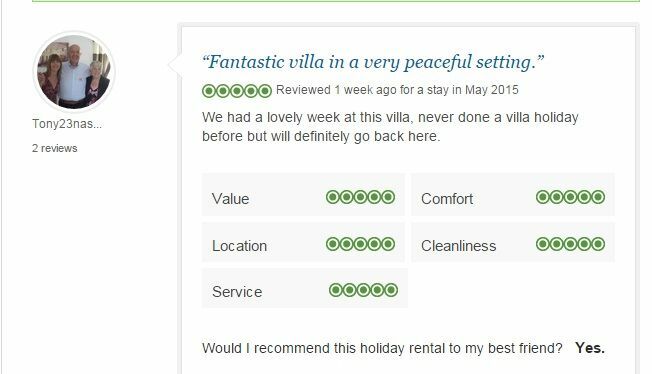 ''Villa Foster is first class. We liked the room layout with open plan kitchen and good sized rooms with lounge leading out to pool and garden. Also very handy having one bedroom downstairs. Air conditioning very efficient and ceiling fans for night. The garden is really lovely- very useful gazebo for dining, parasols and pretty lighting for evening. Location was perfect for us. It is not overlooked so offered seclusion while in the pool etc, the road hardly has any traffic so not an issue. There was no noise at all, which is a huge plus point. Useful to get to restaurants/shops in Coral Bay or Paphos in 10 mins or 20minutes respectively. Would say car is essential. 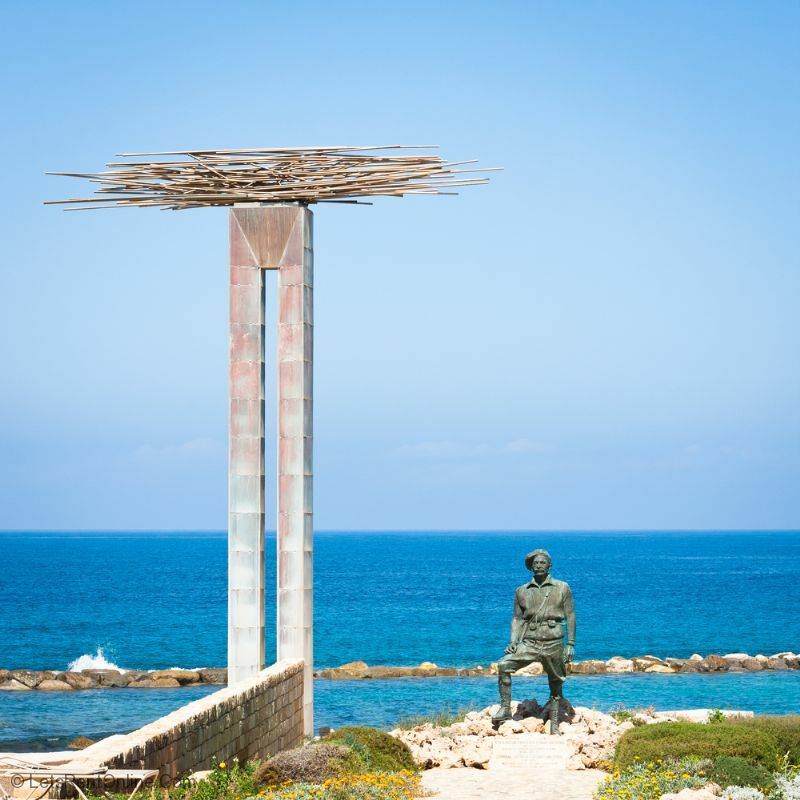 We did early morning walks along Paphos beachfront before it got too hot - there is a man made path winding round the coast. 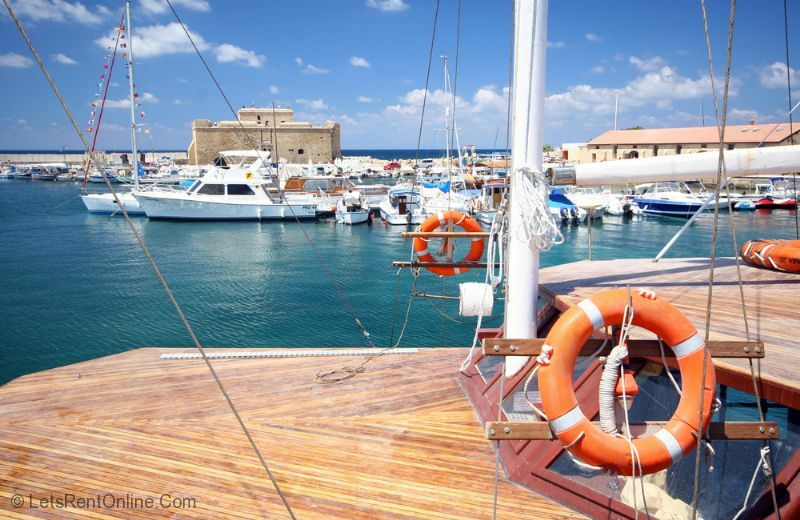 If you park in Paphos, one way takes you past the hotels and the other, more natural. This was a real highlight - it’s quiet at about 7.30am apart from the Cypriots starting their day with a swim or jog. 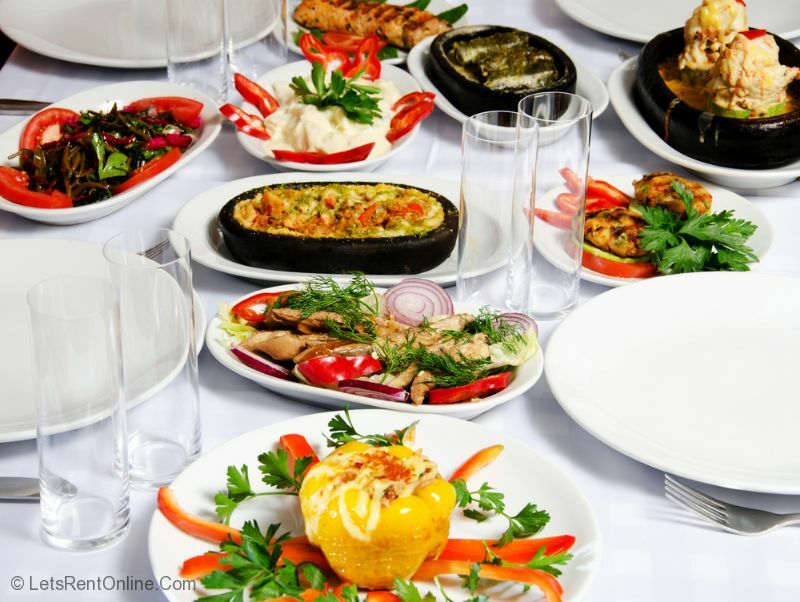 Peyia - The Old Cinema restaurant was disappointing but Oniro’s By The Sea was our favourite - excellent food, location and staff friendly. 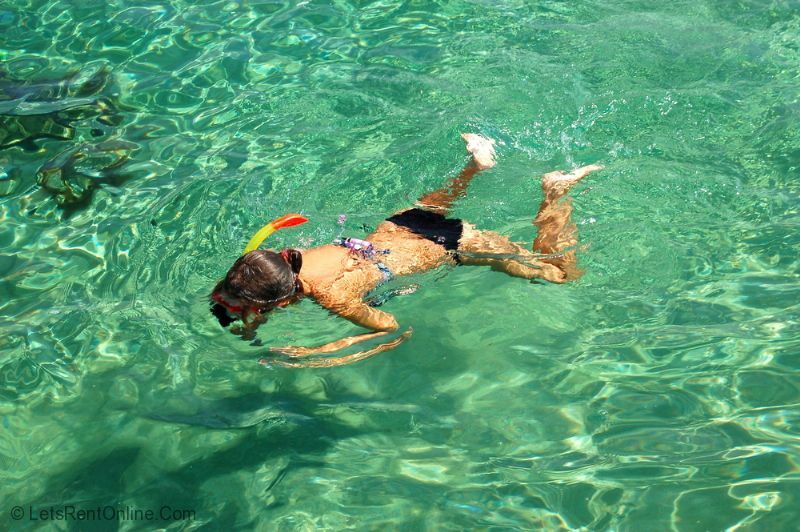 We hired a boat from Latchi watersports which we’d recommend - snorkels are provided and we took a picnic- very nice. We also drove up to the Troodos mountains, which was absolutely stunning scenery. If you have health issues, there is an excellent Health Clinic in Peyia - there is a registration fee but worth it. 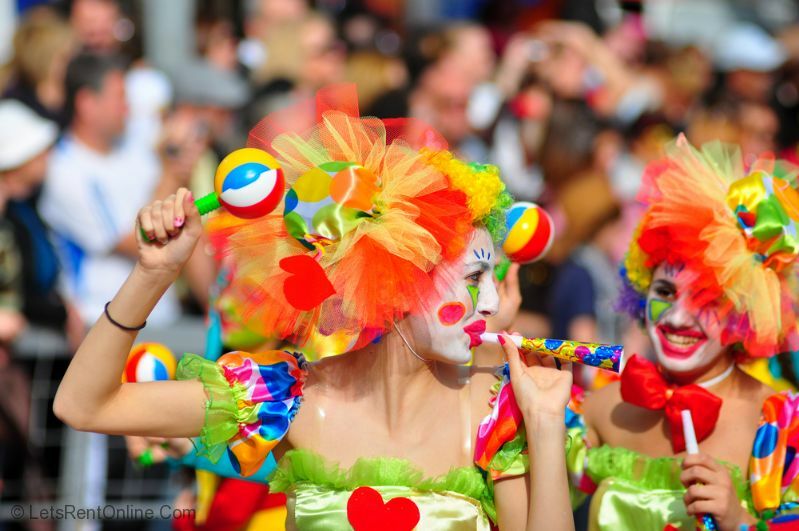 ''Thanks for the e-mail, we all enjoyed our time at Villa Foster and hope to return in the future for our holiday. The villa was amazing, it had everything we needed, it was clean and beautifully kept and the grounds and garden were lovely too. 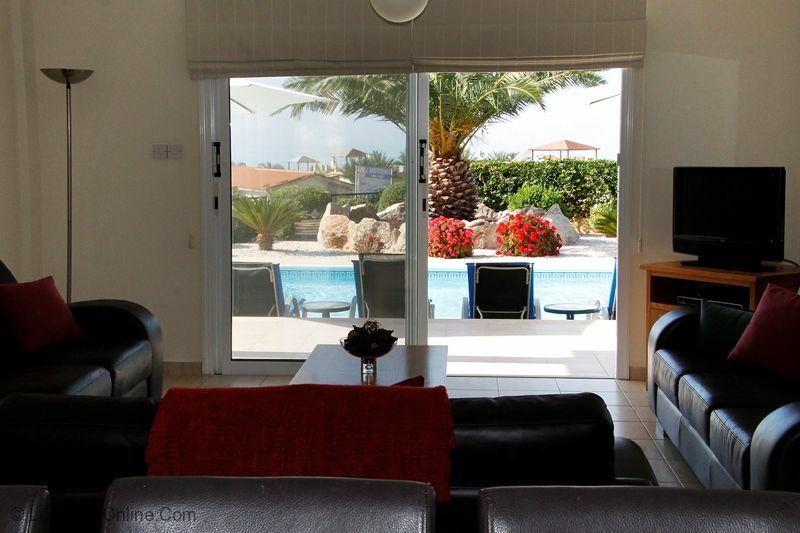 The location was great, convenient for trips to Peyia village and Coral Bay. 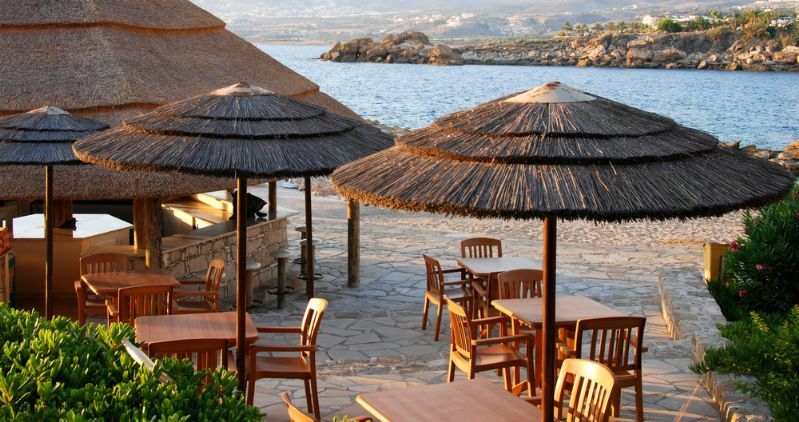 Our favourite restaurants are Peyia Tavern in Peyia and Viklari (The Last Castle) near Akamas both amazing places, friendly family run restaurants, rustic with amazing food and great atmosphere. Definitely worth visiting. 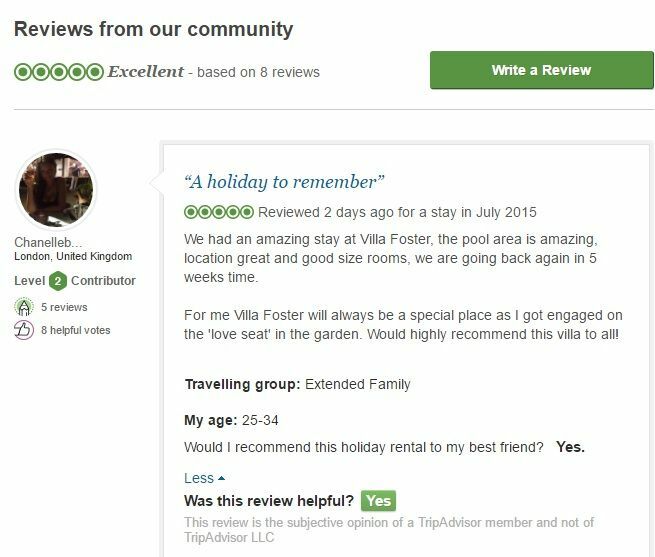 ''We have had an amazing holiday staying at Villa Foster and are more than happy to comment as requested. 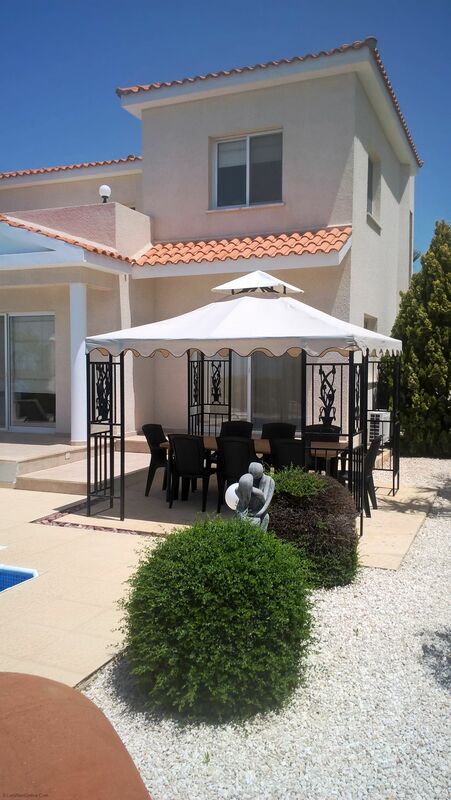 We think this is one of the best villas we have stayed at, great value for money, facilities and space are second to none and the service we have received from yourselves at Lets Rent Online has been professional and friendly. Responses to any questions and enquiries have been speedy and helpful. We are particularly grateful for the sensitive way you responded when my Sister in Law had to cancel their holiday. We will certainly look to use your company again in the future and to recommend to friends and family. 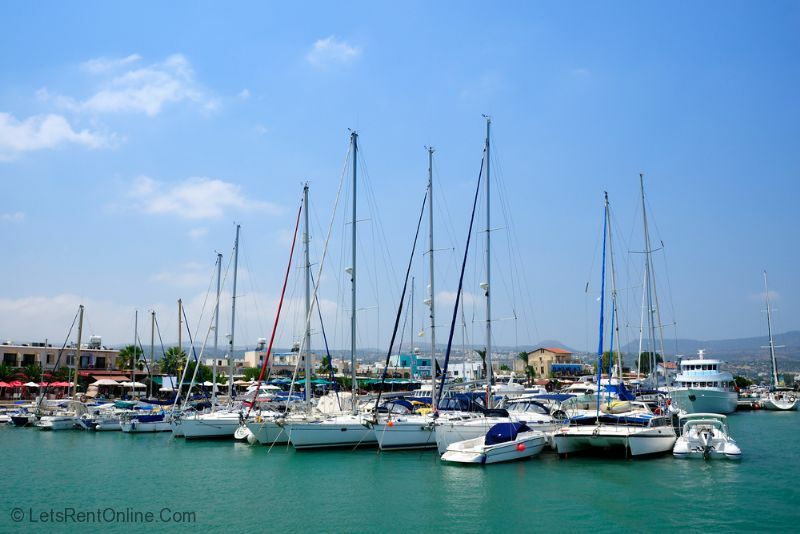 ''We had a wonderful holiday in Cyprus which never lets us down! Villa Foster was extremely comfortable and had everything we needed. It is in a lovely position and far enough away from the main roads etc to make it very quiet and relaxing. We went out and about and particularly enjoyed the beaches around Latchi and Polis. Peyia is a lovely town and we ate regularly in the Grande Cafe. We also enjoyed lunches in Kouklia and Omodos. Information provided for us before our holiday was fantastic and extremely helpful. Directions to the villa were very detailed and much appreciated late at night in an unfamiliar car. 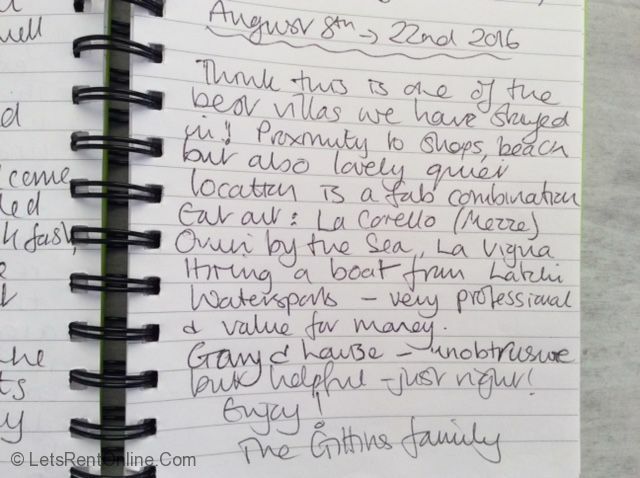 Gary and Louise provided an excellent service and not only was the villa immaculate but the pool area and garden were also wonderful. 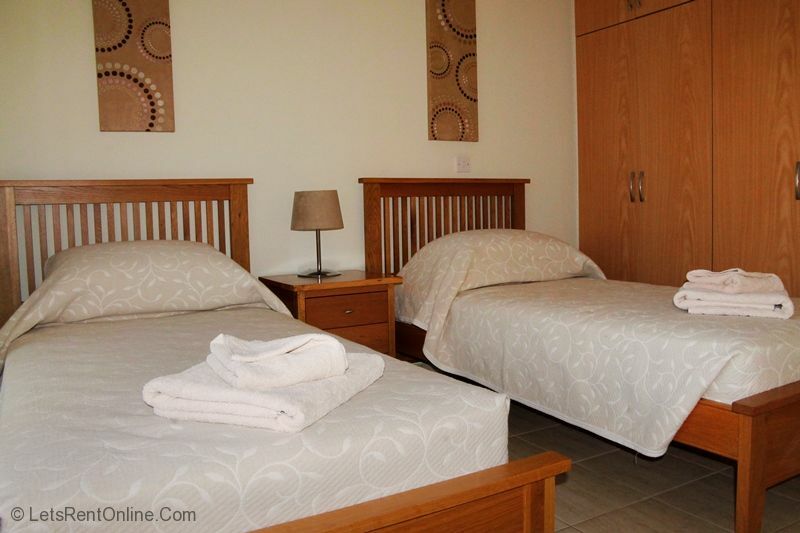 "I stayed with my family (5 adults and 1 child 3 y.o) at Villa Foster for 14 days in May 2011. 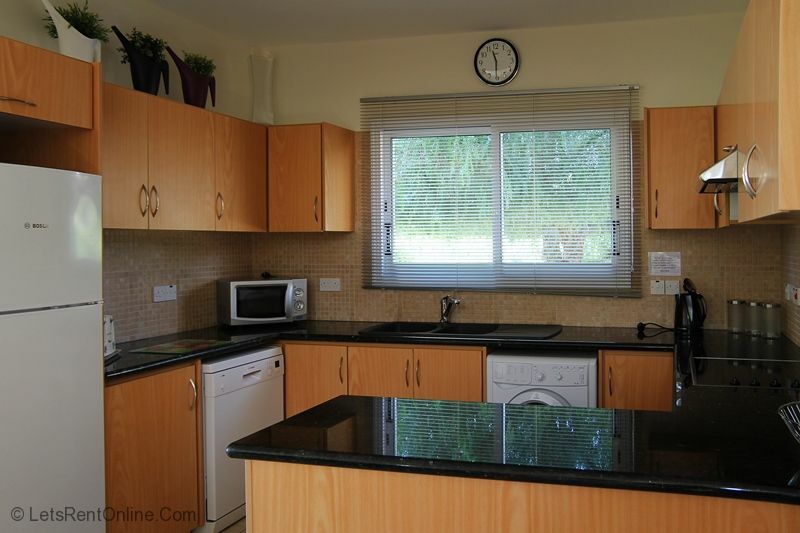 Very spacious, very clean and very well maintained villa. Fully equipped with all necessities. Large pool, great views. 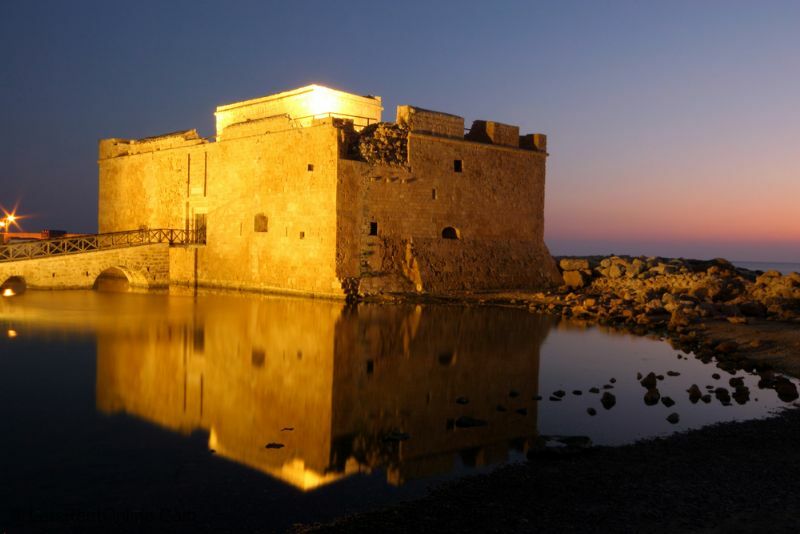 We have fallen in love with Peyia. Thank you, we had a great holiday! " 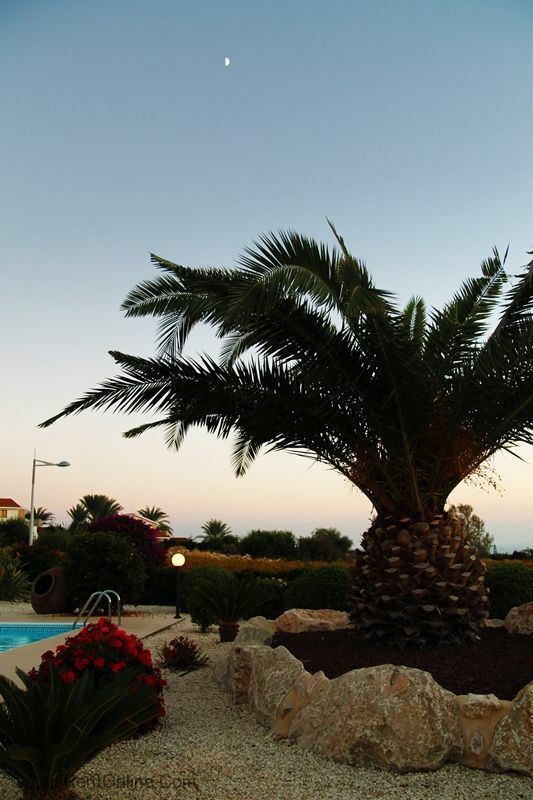 "The villa was very clean and well maintained and in a lovely spot overlooking the sea in the distance. We will certainly come back again." "'This is definitely a company we will use again ! We have been impressed with the service provided by letsrentonline.com from booking to actually taking our holiday. The Villa we booked - Villa Foster - was everything it was advertised to be and more. 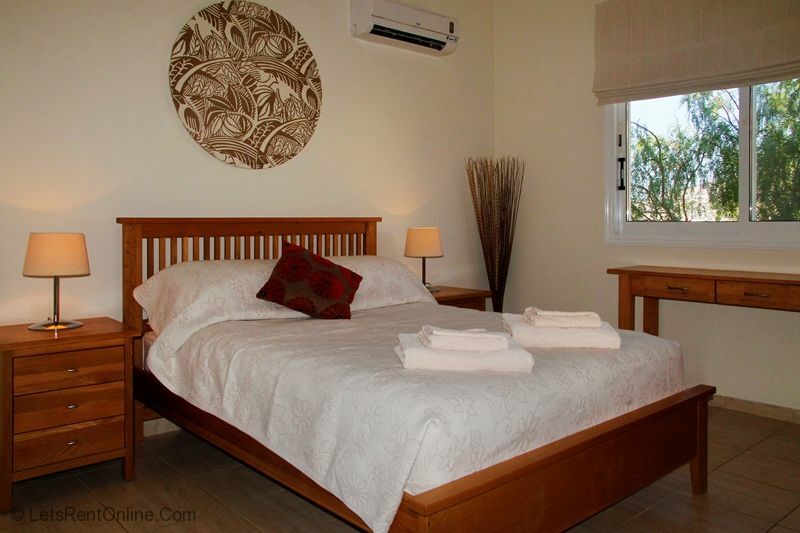 My family were in Coral Bay for a family wedding and we could not have wished for a nicer place to stay at. Gary and Louise who managed the villa were very helpful and provided a brilliant service. We usually stay at a family villa in Coral bay but will certainly look to booking with this company again should we require future accommodation'. Mnay thanks again. Angela Hamilton, Halifax. June 2010"
"We all had a great time, the villa was exacetly as described. Perfect relaxing holiday, kids really enjoyed the large pool. " 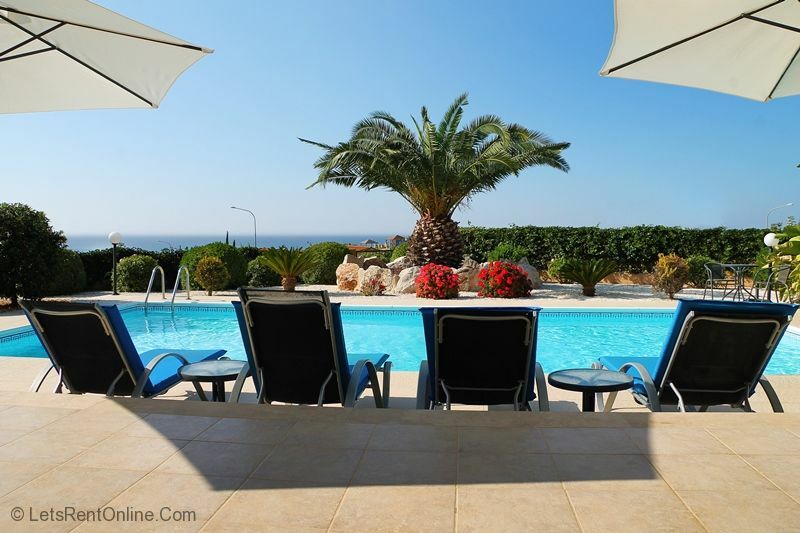 "A wonderfully appointed villa with uninterrupted views of Peyia village hillside to one side and vineyards to the other, beyond which you can see the sea and enjoy beautiful sunsets. 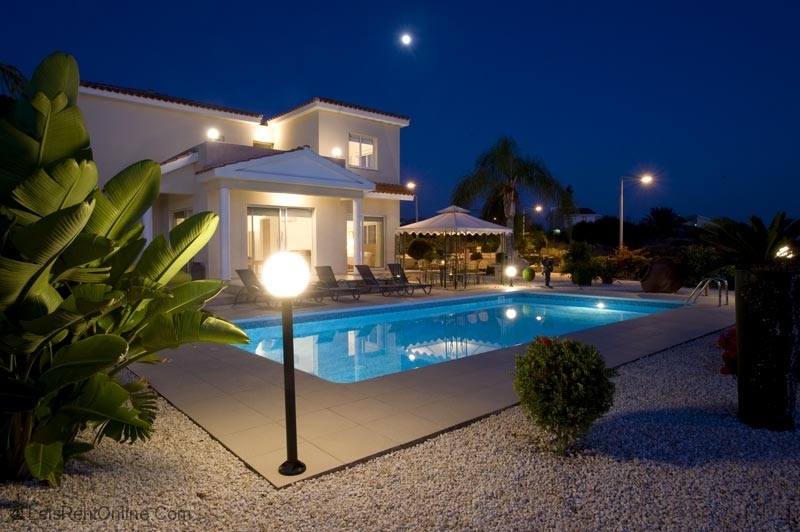 The villa is spacious (inside and out), is well equipped to a high standard and the pool is of a good size. 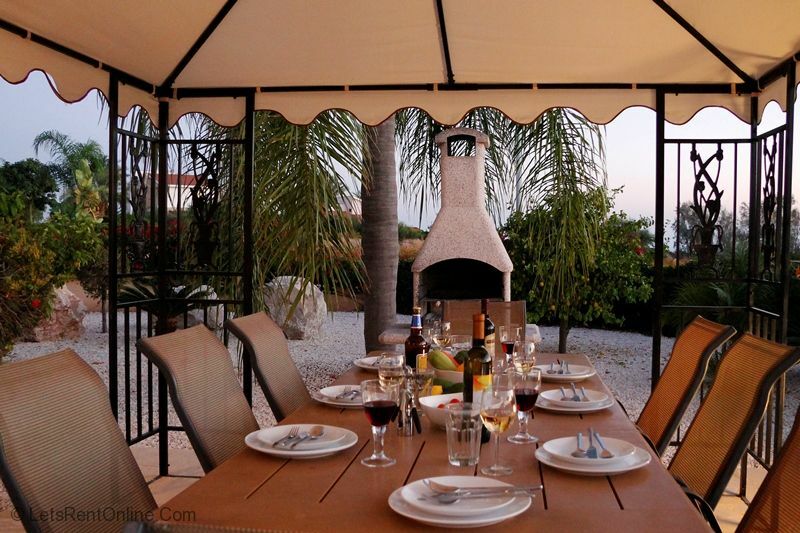 Outdoor living is well catered for with barbeque, dining for 8 (under covered gazebo) and plenty of sun beds & unberellas. A car is recommended." 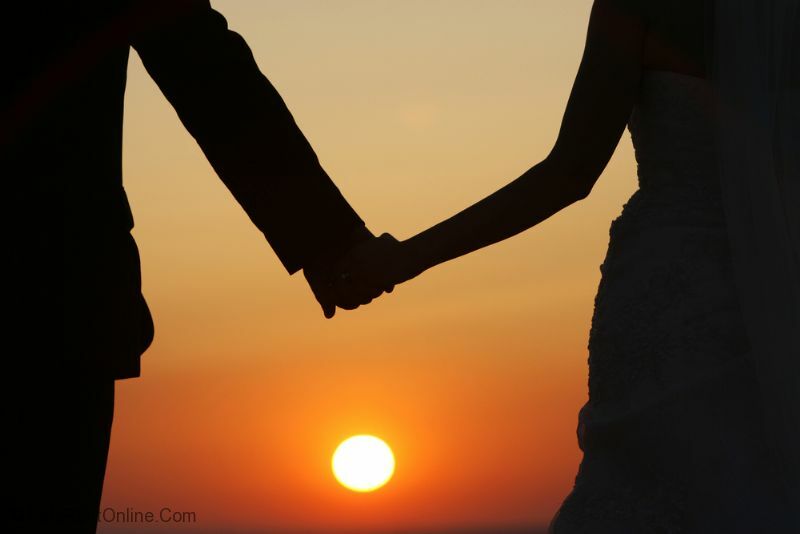 "We came to Cyprus as our daughter was getting married. We all stayed at Villa Foster and we have to say it was magnificent. There were 8 of us in the villa but such is its size, we never felt cramped. 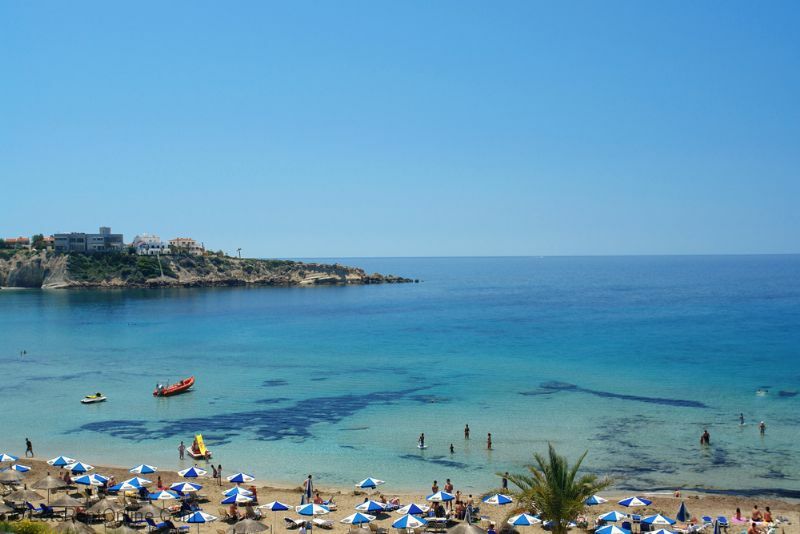 The location just 2km from Coral Bay and Peyia Village suited as great as we could get to both quickly and had the most peaceful place to relax and unwind. The views were amazing too. Sea and sunsets galore. 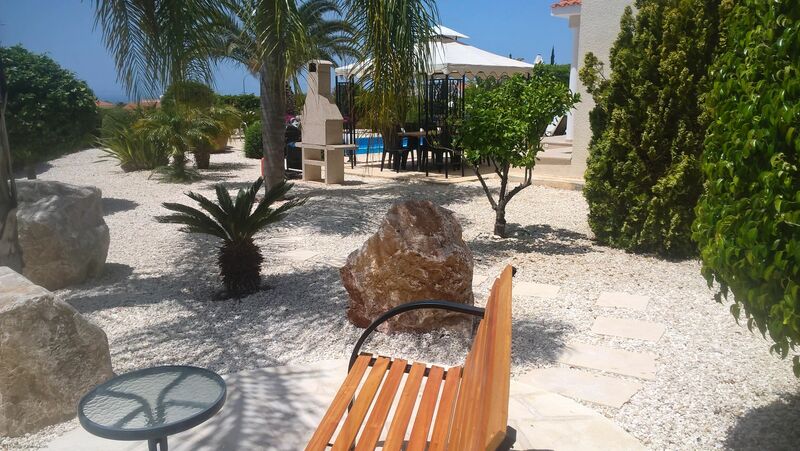 The villa is very well equipped and assistance from Steven the booking agent was great. He went out his way to help us. 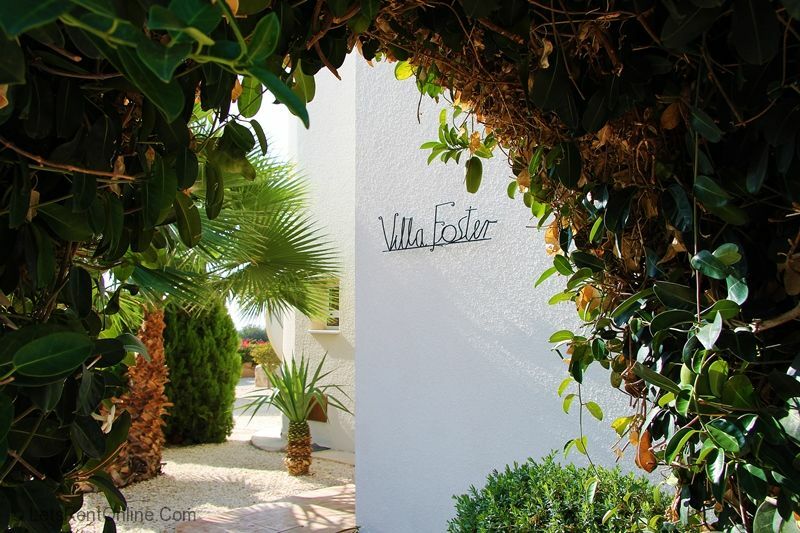 We would recommend Villa Foster to everyone. Thanks again." 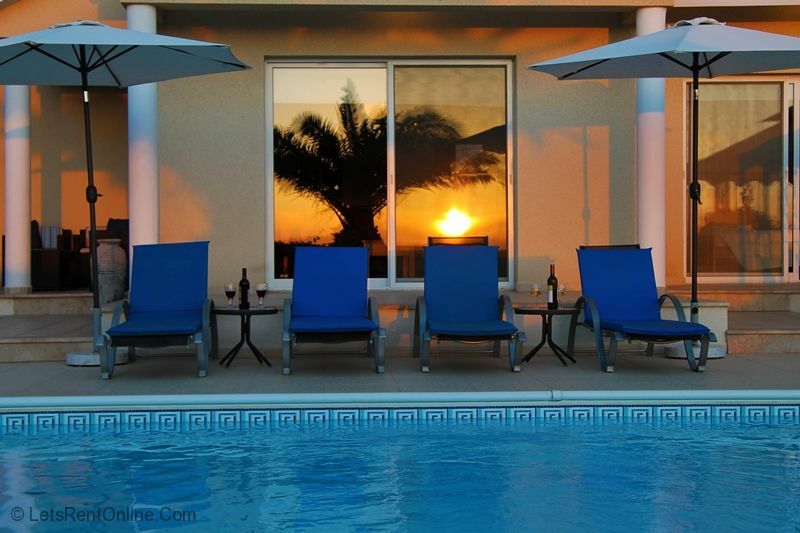 Please note that the same owners and managers are responsible for Villa Stella (4047) and Villa Peroni (53447) so if this villa is not available you will get the same great standards and service at these villas also. 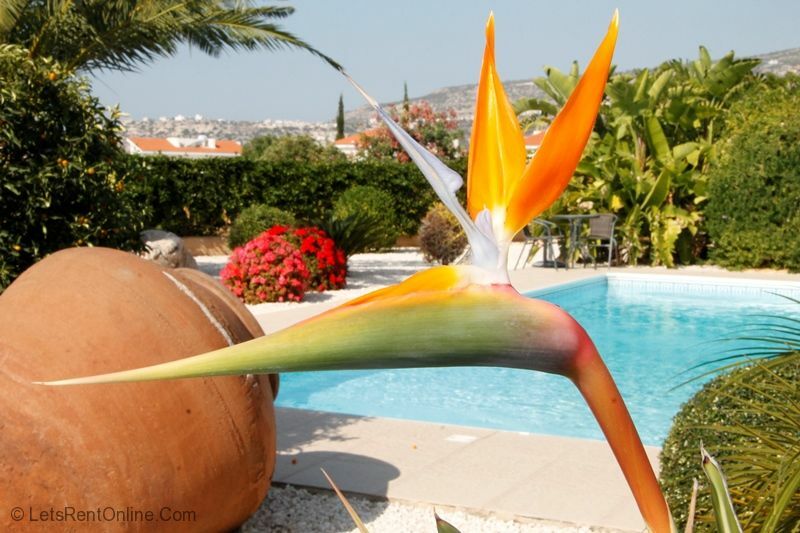 Winding up through the banana plantations after a short drive along the coast road from Paphos brings you to Peyia where Villa Foster is located on the hillside overlooking Coral Bay. Peyia is a very typical Cypriot village. A beautiful ancient church forms the heart of the village while the narrow streets and alleyways are full of old and interesting houses adorned with colourful flowers and citrus trees. 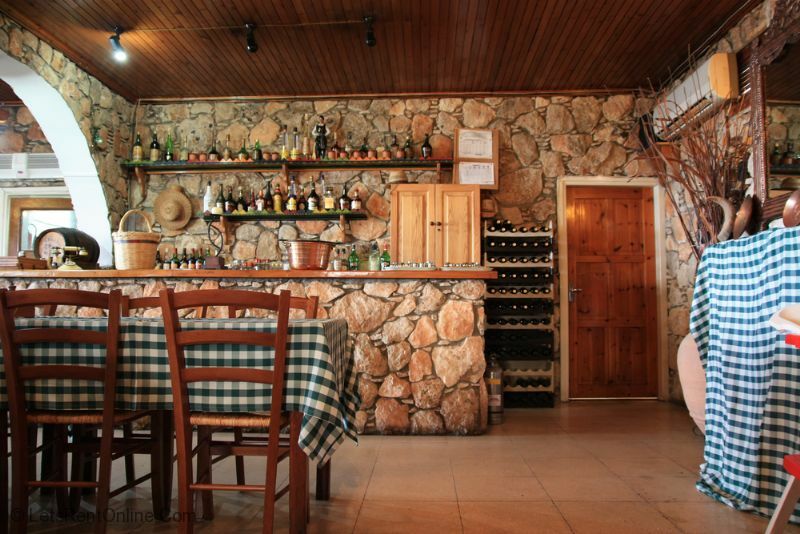 The village is still largely unspoilt with lively tavernas and friendly locals. You can buy all your provisions including fresh meat and bread in the village stores with the early morning aroma of freshly baked bread, sweet and savoury local pastries and cakes coming from the Peyia bakery being almost too much to resist! 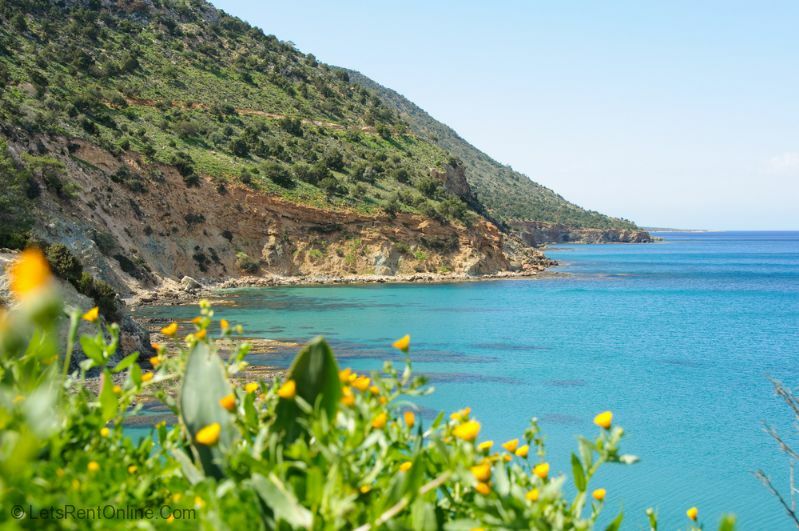 The village of Peyia is one of the most picturesque and popular villages in the area. It is spread over a large area with the village centre (only 2km/5 minute drive) having many good amenities including Bars (with Wi-Fi) (‘The Mill’, ‘The Jail’, ‘The Grande’, ‘JJ’s’), Restaurants (home to Sophie’s themed restaurant, ‘The Peyia Tavern’, ‘Cousins’), Takeaways, Shops (Philippos supermarket, Constaninides Bakery, pharmacy, fishmonger, deli) and a bank (to name but a few). There is also a fitness centre (Tower Fitness) between Peyia and Coral Bay if you want to work off the fabulous food (you won't be able to resist) whilst still on holiday.Only a 5 minute drive away in the other direction is the famous Coral Bay resort with its Sandy beach for all the family as well as its more extensive selection of nightlife and daytime activities. 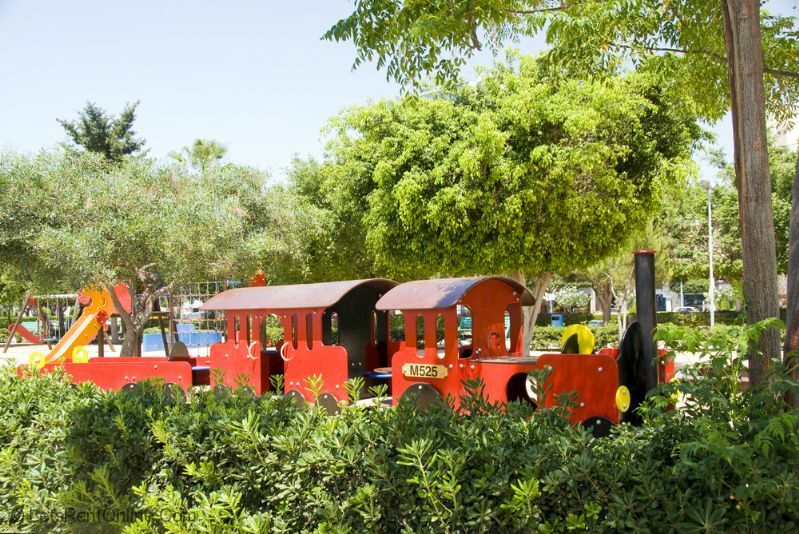 Other things to do in the area include Paphos Bird Park, reptile park, horse riding, Akamas Peninsular & Lara Beach Nature Reserve (famous for turtles), hiking/walking, buggy safaris, 4 x 4 safaris, sea caves area, watersports, sailing, wineries and much much more. 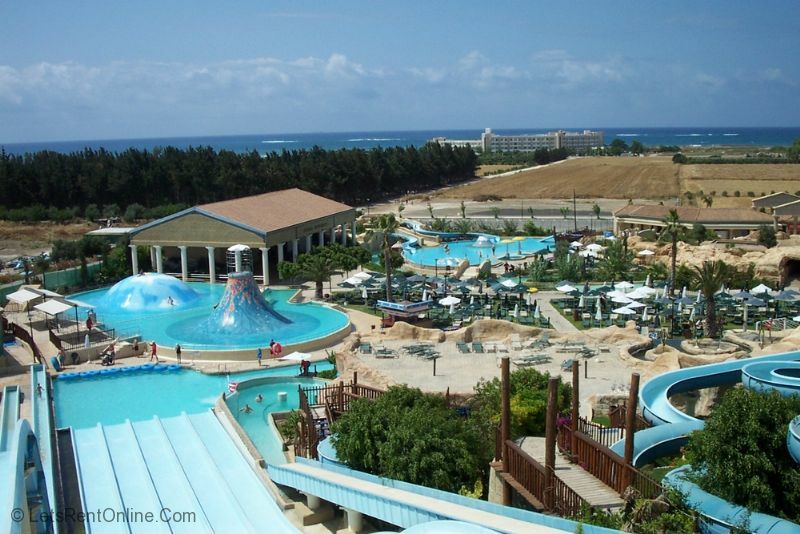 Amusements and the Waterpark in Paphos are also easily accessible from Peyia, as are numerous archaeological ruins such as the Tombs of the Kings, Paphos Mosaics and the Christian Catacombs. 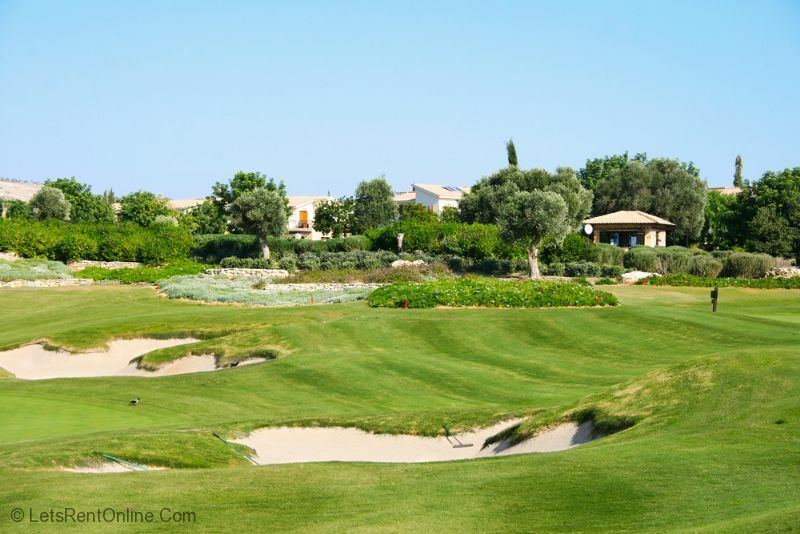 For golf enthusiasts, Paphos area now offers 4 golf courses. 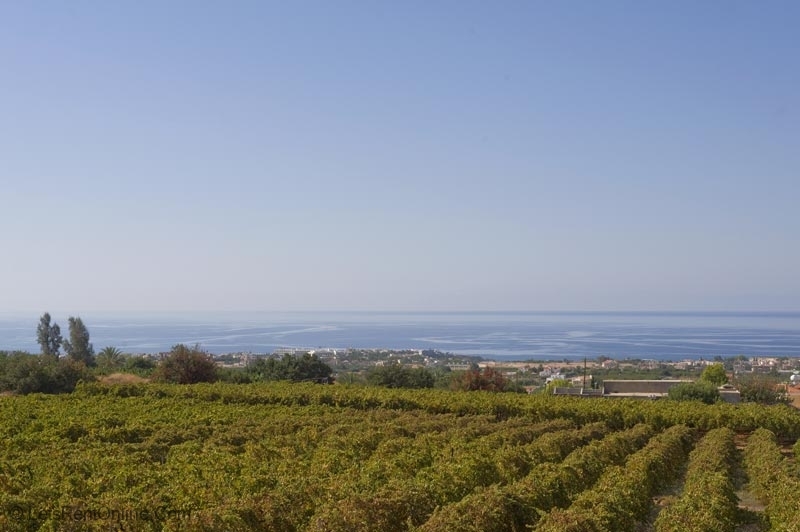 Aphrodite Hills and Secret Valley are both approximately a 40 minute drive from Villa Foster and Peyia, Tsada golf course (now Minthis Hills) is a short 20 minute drive from Peyia. The newly opened Nick Faldo designed ‘Elea’ golf club looks to be the new Jewel in the crown and will put Cyprus firmly on the map as a European golfing destination. 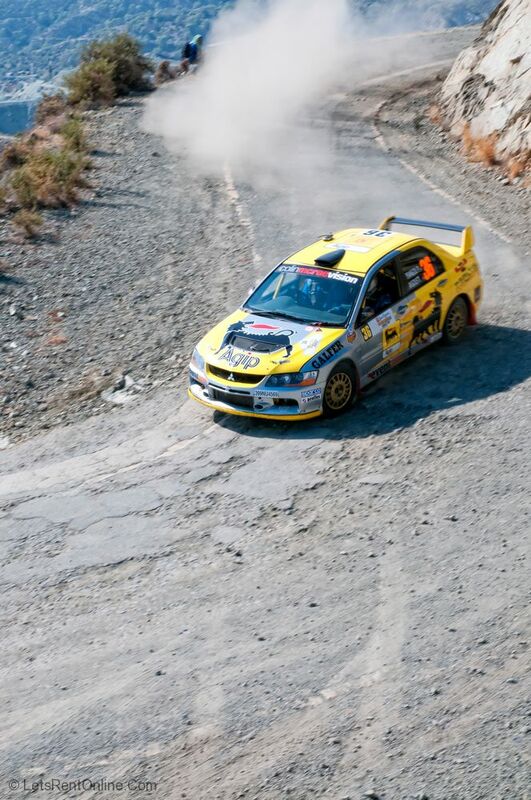 The course is near Paphos airport which is just under 30 minutes drive from Villa Foster. A Travel Cot and Highchair can be provided free of charge upon request.